President: Dan Segel. General Manager: Bre Miller. Head Coach: Brooke Knight, 10th season. Associate Head Coach/Pitching Coach: Ed Knaggs. Assistant Coaches: Youngjin Yoon, Kellen Camus. Ballpark: Goss Stadium at Coleman Field. Address: 430 Southwest Langton Place, Corvallis, OR 97331. Dimensions: LF- 330' CF- 400' RF- 330'. Signature: Omaha Club Room, FieldTurf, Party Deck and Video Board. 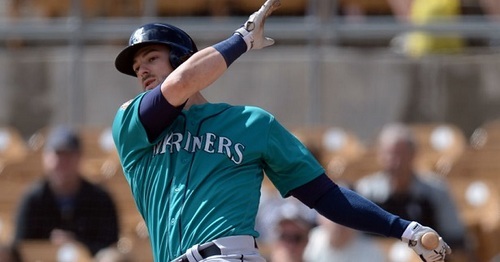 Pros to Watch: Mitch Haniger, Outfielder, Seattle Mariners. 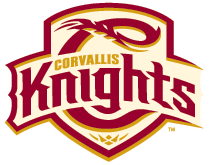 Former Corvallis Knights outfielder Mitch Haniger found his way back to the Pacific Northwest as part of a five-player trade that sent him from the Arizona Diamondbacks to the Seattle Mariners. 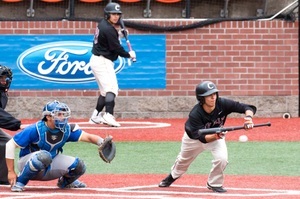 Haniger helped lead the Corvallis Knights to the 2010 South Division regular-season title. He was a first-team all-West Coast League selection, and was named as the league's No. 5 pro prospect by Baseball America and the No. 4 prospect by Perfect Game. He returned to Cal Poly for his sophomore and junior years and was selected 38th overall in the 2012 MLB draft by Milwaukee. After two years in their minor league system, he was dealt to Arizona in July, 2014, in a trade-deadline deal for outfielder Gerardo Parra. To check out other Knights currently playing in affiliated professional baseball, click here. Nick Madrigal used last summer to prep for his frosh season in the Pac-12, and what a first college season it was. The future Beaver from Elk Grove High School in California broke the WCL single-season stolen base record with 40 steals and earned first-team all-WCL honors as a utility man. Madrigal (pictured below, bunting) hit .303 versus college pitching and banged out 9 doubles while collecting 20 RBIs and playing stellar defense at second, short and in the outfield. The Knights call Goss Stadium at Coleman Field home, as do the Oregon State Beavers of the Pacific-12 Conference. It has been OSU's home field since 1907 and is the oldest continuously-used college venue in the country. The playing surface is named Coleman Field in honor of former OSU player and coach Ralph Coleman, who guided the Beavers for 35 seasons from 1923-66. The field – infield and outfield – feature FieldTurf and a clay mound. 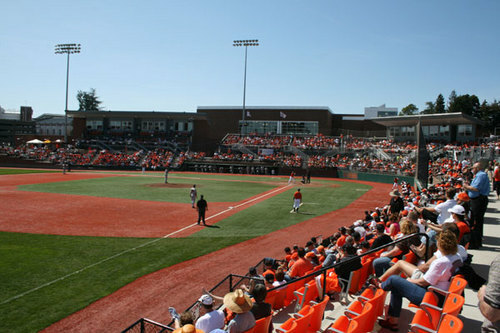 The stadium, which resides on campus at Oregon State University, is named for John and Eline Goss. Their major lead gift to the $2.3-million fundraising effort led to the construction of the original stadium in 1999. John Goss was an OSU track and field letterman in the 1930s. The stadium's name is also a memorial to his older brother, James Goss, an OSU graduate. Permanent outdoor seating capacity at Goss Stadium is 2,804 in the summer, with a total capacity of 3,049 when including the stadium's Omaha Club Room, TnT Builders Party Deck at Banners and the Knight Grocery Outlet Box Suite. In 2016, Goss Stadium upgraded its video board – the largest in the Pac-12. The field’s dimensions are traditional with center field being 400’ and both foul line poles being 330’ from home plate. Corvallis, Oregon is in the heart of the Willamette Valley. Home to Oregon State University, it is the quintessential college town. The wide streets, sheltered by ancient trees, red brick or white masonry buildings and its location along the Willamette River make Corvallis a handsome city. Corvallis is close to the Coast Range and wildlife areas. Hunting, fishing and golf are plentiful and the city is within 90 minutes of the beach, the Siuslaw National Forest and Portland.